Are you a hypnotherapist or therapist? One of the newer uses of hypnotherapy, HypnoClutter™, will help you work with cluttered people to assist them on the path of orderliness. 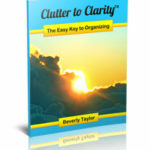 This is a revolutionary program to help people clean clutter in a relaxed, easy way! This book teaches you the knowledge you need, together with the techniques and scripts for success. Help the 35 million people who need this. 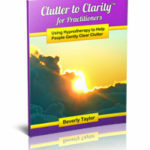 This is the second book in the Clutter to Clarity™ series. This hypnotherapist version is the same as the other book, with an added chapter with a lot of information for hypnotherapists. By Beverly Taylor. Calm…like calm that exists in the beautiful blue sky, has come to visit with you today. Calm, a state of being that exists in your mind by the thoughts you choose to think, desires for you to embrace it. Calm, a friend you attract to you from within the thoughts you think in your own mind, creates the feeling of calm in your mind, body and soul. Imagine if you could feel Calm’s presence each time before you handle a piece of mail. What would that be like for you? Would you want to experience calm today, right now, or also tomorrow? The choice is yours and ONLY yours because the feeling of calm exists first in YOUR mind. In the book Clutter to Clarity™ Mini Module: Mail Handling, another resource for recovering clutterers, you’ll get secrets to finding your companion of calm. Did you know that when you purposely train your mind to relax and respond, you also can positively create balanced brain chemistry? It’s true. You’ve probably heard about the brain chemical called serotonin, right? Well, with sufficient amounts of serotonin, you feel calm; like everything’s okay. When you feel like everything’s okay, THAT is evidence you have sufficient serotonin. 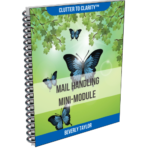 By letting Clutter to Clarity™ Mini Module: Mail Handling be your guide to calm, you’ll have found a natural way to create sufficient serotonin. No drugs, just you, doing it all by yourself. What benefits would more calm help you enjoy in your life today? Better feelings about your self-esteem? Confidence to know you can get things done that really matter to you? Having more meaningful relationships? Yes, these things can all happen when you have more calm in your life. If these things sound like something you want…like something you have to have, get Clutter to Clarity™ Mini Module: Mail Handling. If calm is precious to you, use this guide to help you create more of it…starting today. 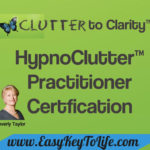 Beverly Taylor’s Clutter to Clarity™ program played a huge part in my transformation into a happier, more confident, more organized, and definitely less cluttered person. Before Clutter to Clarity™, I didn’t think it was possible for me to be this balanced and unattached to my “stuff”. Carol B. THANK YOU BEVERLY, You have NO IDEA how much you have been helping me to deal and face with my clutter issue. Sincerely, Susan S.
Do you have clutter in your life? Is it hard to motivate yourself to clear it out? 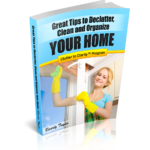 This is a revolutionary program to clean clutter in a relaxed, easy way! Hypnotherapy uses the power of your subconscious mind to achieve success. This recording uses guided imagery to create the positive feeling to begin action. Put an end to the procrastination, agony and overwhelmed feelings, and begin a practice that reduces your obstacles for creating a beautiful home or office. This is the first recording in the Clutter to Clarity™ series. By Beverly Taylor. 27 minutes. Do you have clutter in your life? Is it hard to motivate yourself to clear it out? 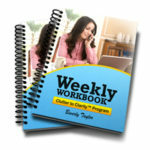 This is a revolutionary program to clean clutter in a relaxed, easy way! Hypnotherapy uses the power of your subconscious mind to achieve success. This recording uses guided imagery to create the positive feeling to begin action. Put an end to the procrastination, agony and overwhelmed feelings, and begin a practice that reduces your obstacles for creating a beautiful home or office. This is the second recording in the Clutter to Clarity™ series. By Beverly Taylor. 32 minutes.